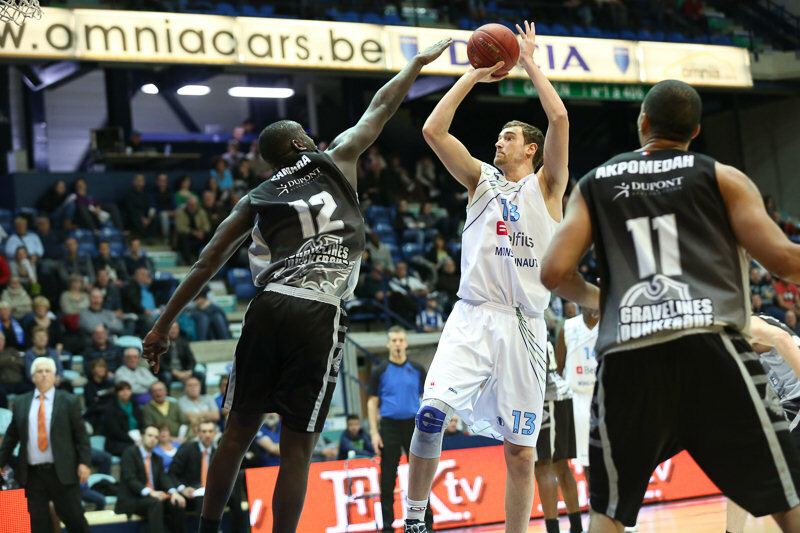 BCM Gravelines cruised past already eliminated Belfius Mons Hainaut 53-85 on Tuesday. 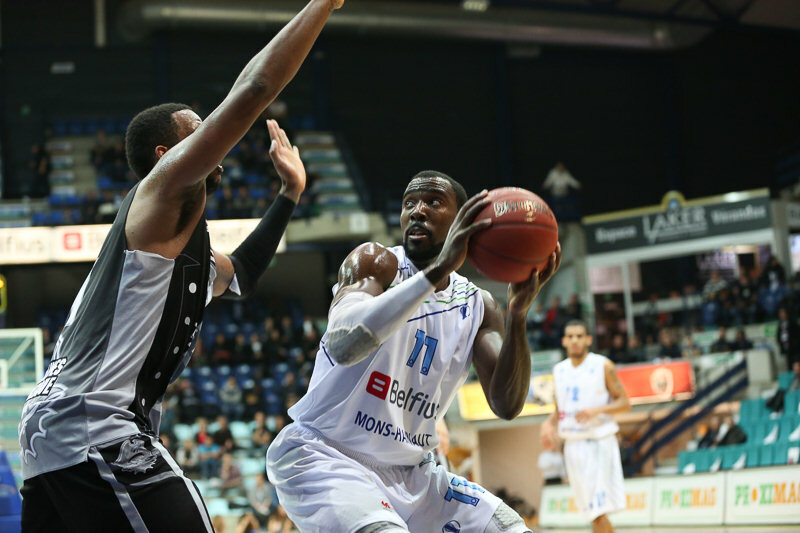 Gravelines improved to 6-2 in at least a share of the first place in Group D, and is on the verge of clinching a place in the Last 32, while Belfius Mons dropped to 1-7 in the last place. Gravelines took the lead for good half-way through the first quarter, before using a 2-17 run in the second to pull away to 22-43 and it never looked back. Ousmane Camara, John Holland and Juby Johnson all netted 14 points, with Johnson’s coming in less than 11 minutes on 4 of 5 three-point shooting. Marcus Lewis had 13 points plus 7 rebounds, and Jonathan Rousselle netted 11 in victory. 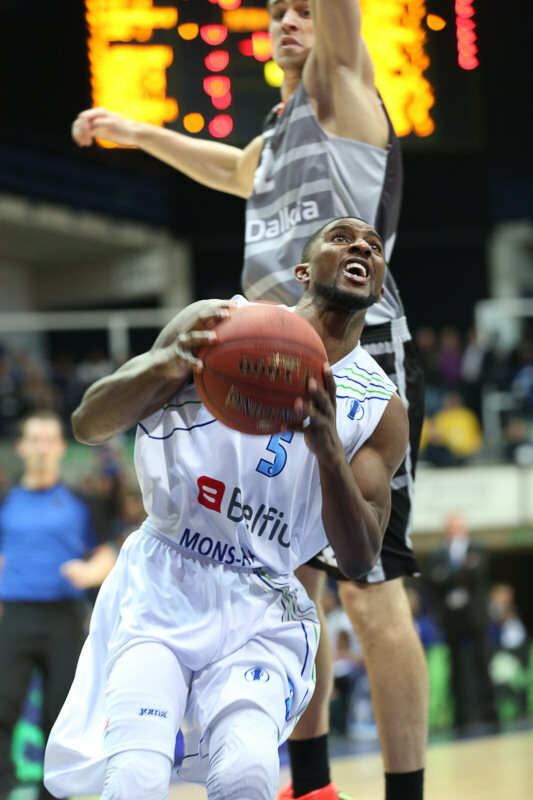 Jason Love collected 16 points plus 7 rebounds for the hosts, and Monwell Randle netted 11 in defeat. The hosts went in front first in the early going, as 5 points apiece from Monwell and Robert Vaden, including each hitting a three-pointer, made it 10-8. But a three-pointer from Johnson sparked a 2-12 run, and Yannick Bokolo had a layup, then a steal for Holland’s fastbreak dunk, as Gravelines went on to a 12-20 lead after 10 minutes. 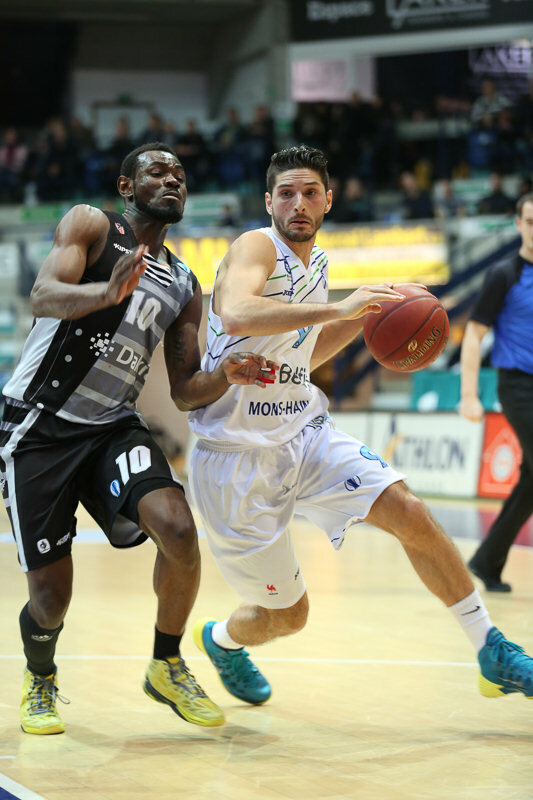 Lorenzo Giancaterino and Monwell nailed triples for the hosts, but Johnson and Rousselle hit back-to-back from downtown for Gravelines early in the second. Another triple from Johnson made it 20-29, before the visitors strung together 14 points. Rousselle had a layup and a triple, and Marcus Lewis contributed with 5 points, including a basket-plus-foul. Gravelines held 28-47 at halftime, but increased it to 32-58 in the third thanks to a triple from Cyril Akpomedah and 5 points from Holland. Guy Muya and Talor Battle tried to get Belfius Mns going, but more baskets from Lewis, Rousselle, Akpomedah, and a triple from Hugo Dumortier, made it 37-68 after three quarters. 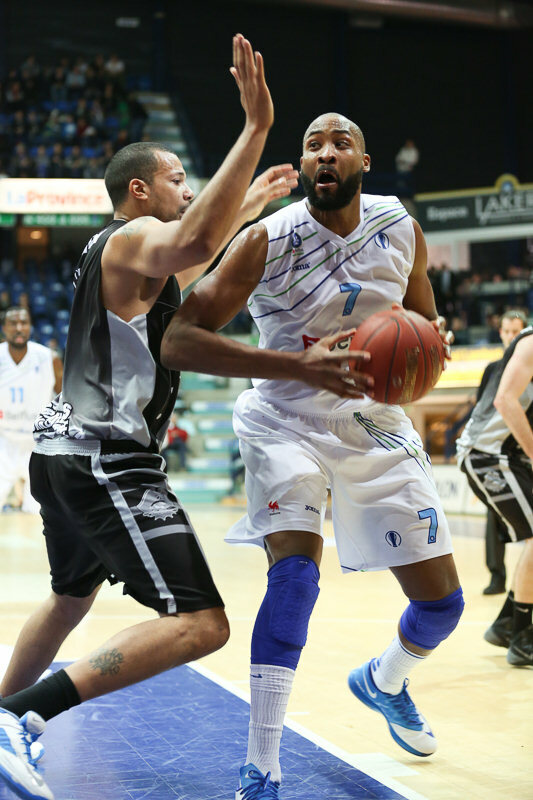 With game out of reach, it was 45-79 midway through the fourth quarter, as Gravelines closed out the game. "We were not focused enough for such a clash, full of intensity. 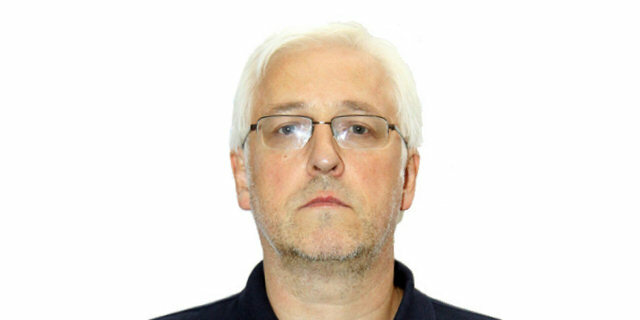 In fact, my players played into the hands of Gravelines by not controlling the tempo, and especially by allowing opponent’s defense to get organized even though we said precisely to attack the rim every time it was possible. Instead, we played on their key points, and it was impossible to win that way." "We dreaded this short travel, because our opponent had an excellent performances in Rome, and in Belgian League. Fortunately, we raised our defensive aggressiveness, and everything became much easier during the second quarter. I am happy with the response of my players, and now we are foot and a half in the second stage of the Eurocup." "In this type of game, it is important to approach it with aggressiveness, and with pressure on all parts of the floor. Instead of it, we made all the opposite, and the more the gap increased, the more we were forced into difficult situations." "This victory is excellent for the confidence. Despite the final score, we knew that it would be necessary to be focused, because in this competition there are no easy matches. We managed to tighten our defense in the inside game, forcing our opponents to commit faults, and to take difficult shoots."